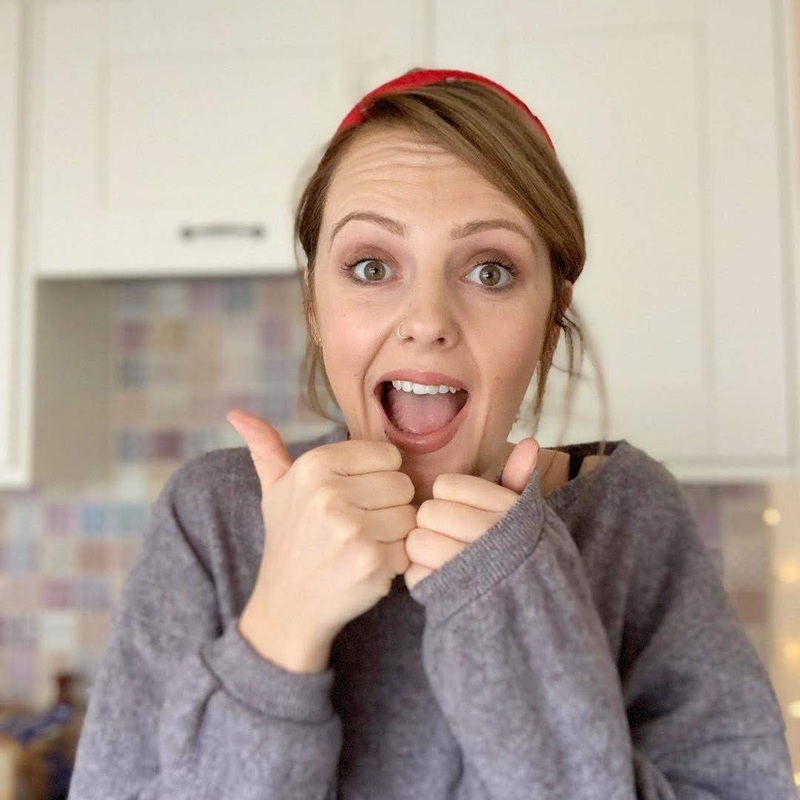 The general standard of blog photography has dramatically changed over and the days of bedroom mirror selfies and make-up shots without any swatches are a thing of the past. These days, perfect lighting, glamorous props and professional photoshoots are normality along with expert equipment such as ring lights, and high quality cameras. 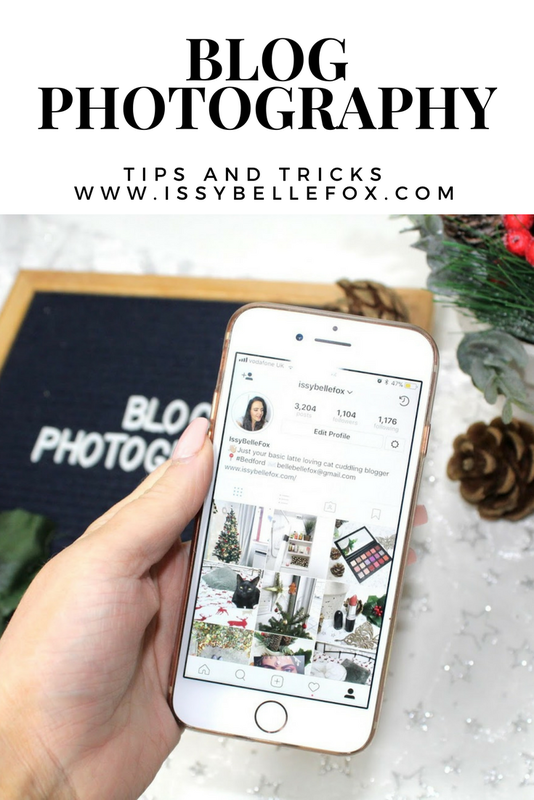 The past year has seen a huge change in my blog photography and I'm going to show some tricks and tips I've taken on board help me produce better quality content. Having a general theme for your images not only maintains continuity on your page but also makes taking photos a lot easier. If you generally have the same background and props, planning your images as well as taking them in bulk (on those days when we have decent lighting) makes life a whole lot easier. Quality over quantity is definitely key here, I tend to match my blog photo theme to my Instagram theme and use the same props in rotation. Bright images with the same white background (that's a roll of wall paper from B&M that cost around £3) complimented with a few props set my images up to my taste. With it being the festive season, I'm using my Christmas plant pot, some tree decorations and a star-print table runner to add some seasonal sparkle, to 'fill in' my images and add some more texture / colour I'll often use make-up brushes / complimentary coloured lipsticks / perfume bottles / jewellery and even my phone or glasses - day-to-day items make perfect props used creatively as well as being more cost effective. Lighting is a bug bearer for most bloggers during this time of year, in previous years any sort of photography had to wait until the weekend when I actually saw daylight and even then it was hit and miss. A lot of people have various lighting set-ups that range in price - I bit the bullet and bought this single soft box set up on Amazon for £39.99 - it's now on offer for £29.00 and haven't looked back, it's enough to provide enough lighting to take my style of photos during the evening and nighttime and not have to compromise on the quality. This is a common discussion amongst bloggers and one that is ever changing as the quality of Iphone and Android cameras increases to compete with that of SLR Cameras. For me, there's no denying that my Canon EOS SLR (one of the cheaper models out there) produces better, glossier images than my Iphone 7 camera but that doesn't mean my Iphone camera isn't any good, the only tell tale sign of what has produced the images on my IG feed is the level of engagement per image because we all know IG prefer phone camera shots. I hate editing photos and would rather spend hours taking the perfect shot than editing my images, I've noticed that whilst increasing the brightness of an image can be somewhat essential, playing around too much with the contrast and temperature can ruin the quality of an image as well make it harder to match similar images for the same post. I use the image preview tools on my Macbook to increase the exposure on my image rather than delve into the land of photoshop because my brain can't handle that much learning these days. If anyone has some other really simple tips, feel free to add them in the comments. This post contains a sponsored link but all thoughts are my own. I HATE editing, because I cannot do it to save myself lol, over exposing is a total bug bear of mine, so I just try to get the actual photo looking good without needing to edit it - I agree though a soft box has been a total game changer for me too! SO GOOD! Definitely some great points made. I have a DSLR and I always just use my phone! I need to get out of that habit.